Publisher: Wiley and Sons, Inc. Features over 450 entries contributed by an international team of scholars, and presents an extensive and invaluable survey of this fascinating field. 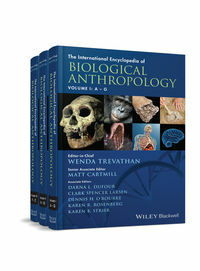 An indispensable resource for undergraduate students and scholars engaged in the study and practice of biological anthropology and interrelated fields and disciplines.